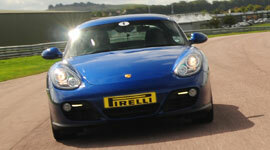 Drive the latest Porsche Cayman at Croft race circuit. This is the generation 2 Cayman with the 2.9 litre engine. A fantastic car that leads the way in its class. Our entry level driving experience designed to get you out on track in one of the most rewarding two seat sports cars in the world, but at a budget price. 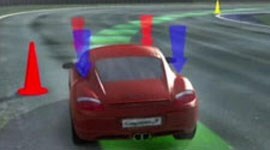 It's such a well developed car, you'll wonder why Porsche don't change all their models to a mid-engine layout! It feels tight, reacting positively to your inputs with little roll but still managing to provide a smooth supple ride. This experience operates from Croft Circuit in North Yorkshire. On the day drivers must wear clothes that cover their arms and legs. Now you can feel like one of the F1 pack in one of our fleet of racing cars! 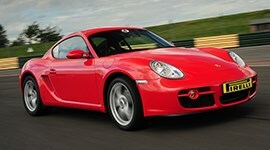 You'll also get to drive the Porsche Cayman as part of this experience. Drive 3 great cars - a Porsche, the Audi R8 and the Ginetta Sports racing car.